Download Abba sheet music for I Have a Dream, Mamma Mia, The Winner Takes It All, Chiquitita, Dancing Queen, Our Last Summer and more here. Click on the Abba songs, to download sheet music for piano and guitar tab with lyrics, plus listen to free midi previews. All of the digital sheet music includes an audio playback. You can also transpose the key on selected songs. Join the Digital Discount Club for a 10% discount here! * Find more Abba songs here. The Highlights from Mamma Mia sheet music collection includes seven songs from this Broadway musical featuring songs by Abba. Save almost 50% when you download sheet music for Dancing Queen, The Winner Takes It All, S.O.S., Chiquitita, Take a Chance on Me, Voulez-Vous, Mamma Mia and Money, Money, Money here. The Mamma Mia sheet music book includes 22 songs performed by Abba. Find sheet music for Dancing Queen, Voulez-Vous, Chiquitita, Super Trouper, Mamma Mia, Gimme Gimme Gimme, Thank You For The Music, Lay All Your Love On Me, Honey, Honey, S.O.S., The Name Of The Game, One Of Us, Under Attack, Our Last Summer, I Have a Dream, Does Your Mother Know, The Winner Takes It All, Take a Chance On Me, I Do, I Do, I Do, I Do, I Do, Slipping Through My Fingers, Knowing Me, Knowing You and Money, Money, Money. The Best Songs of Abba includes simplified arrangements for 19 songs. Find easy piano sheet music for Chiquitita, Dancing Queen, Does Your Mother Know, Fernando, Gimme! Gimme! Gimme! (A Man After Midnight), Knowing Me, Knowing You, Lay All Your Love On Me, Mamma Mia, One Of Us, S.O.S., Super Trouper, Thank You for the Music, The Name of the Game, Waterloo and Take a Chance on Me. The Greatest Hits of Abba includes 19 songs. Find sheet music for Dancing Queen, Knowing Me, Knowing You, Take a Chance on Me, Mamma Mia, Lay All Your Love on Me, Super Trouper, I Have a Dream, The Winner Takes It All, Money, Money, Money, S.O.S., Chiquitita, Fernando, Voulez Vous, Gimme! Gimme! Gimme! (A Man After Midnight), Does Your Mo ther Know, One of Us, The Name of the Game, Thank You for the Music and Waterloo. 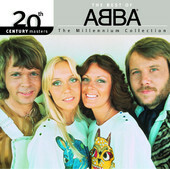 Listen to the Best Abba Songs here!